Metropolitan Tikhon delivers homily at Sunday of Orthodoxy Vespers, Holy Trinity Cathedral, San Francisco. 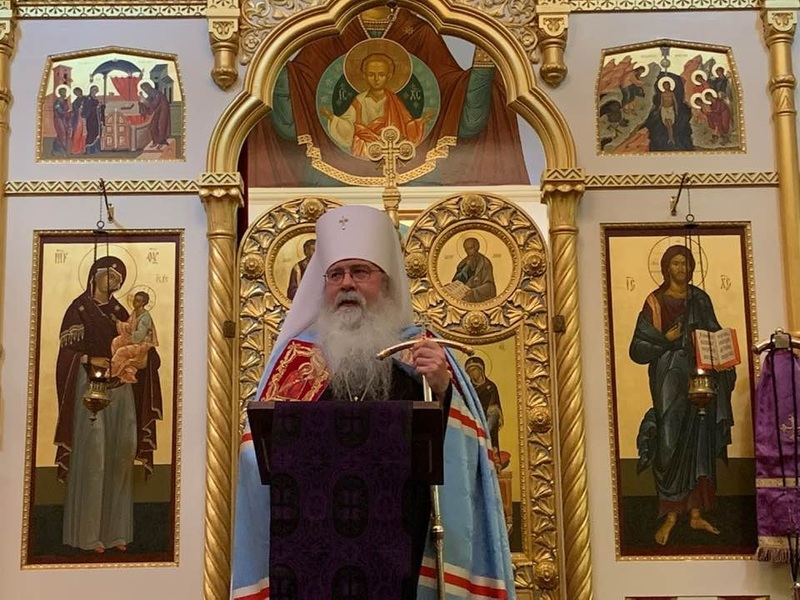 At the invitation of His Eminence, Archbishop Benjamin, His Beatitude, Metropolitan Tikhon visited the Diocese of the West during the first weekend of Great Lent. On Friday evening, March 15, 2019, Metropolitan Tikhon prayed at the Liturgy of the Presanctified Gifts at San Francisco’s historic Holy Trinity Cathedral, where he was warmly welcomed by Archbishop Benjamin; His Grace, Bishop Daniel of Santa Rosa; and Archpriest Kirill Sokolov, Dean of Holy Trinity Cathedral. 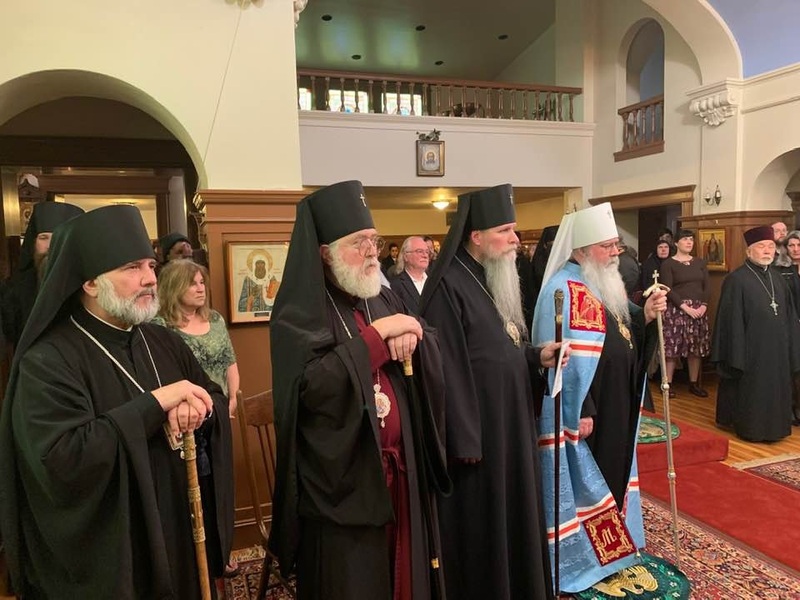 The following day—Saturday, March 16—Metropolitan Tikhon visited Saint Nicholas Church, San Anselmo, CA, where he was welcomed by Archpriest Stephen Meholick and the faithful. That evening, he served the All-Night Vigil at the parish. 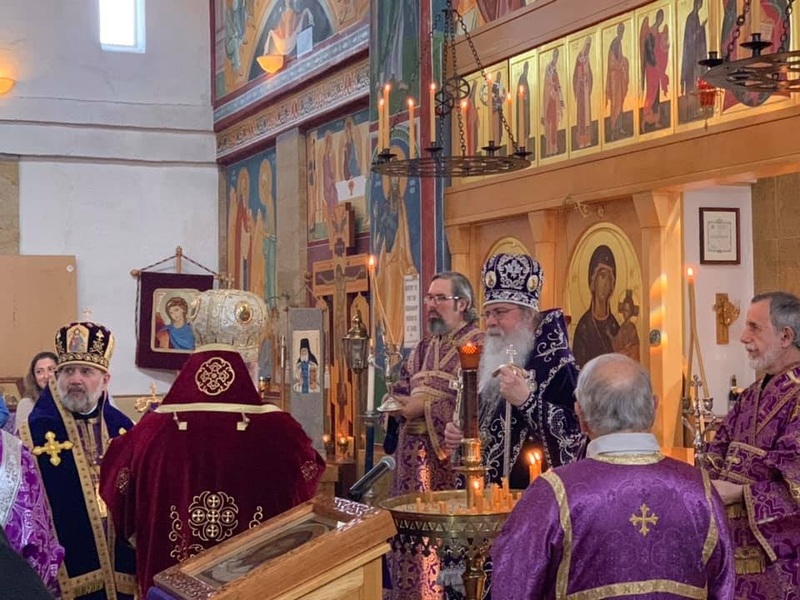 Metropolitan Tikhon concelebrated the Divine Liturgy on Sunday, March 17—the Sunday of Orthodoxy—with Archbishop Benjamin, Bishop Daniel and the parish’s rector, Archpriest Lawrence Margitich at Santa Rosa’s Saint Seraphim of Sarov Cathedral. A festive lenten meal was served after the Liturgy. Later that evening, Metropolitan Tikhon presided at Vespers for the Sunday of Orthodoxy at San Francisco’s Holy Trinity Cathedral. Joining him, as well as Archbishop Benjamin and Bishop Daniel, was His Eminence, Archbishop Kirill of San Francisco of the Russian Orthodox Church Outside of Russia. Metropolitan Tikhon delivered the homily at the conclusion of the service, the text of which appears below. A photo gallery can be viewed on the OCA website and Facebook page. My dear brothers and sisters in Christ! Metropolitan Tikhon with [from left] Bishop Daniel, Archbishop Benjamin and Archbishop Kirill at Holy Trinity Cathedral, San Francisco. We gather this evening to celebrate the Sunday of Orthodoxy and to pray together at this peaceful yet glorious Vespers service sung so beautifully by the Cathedral choir and those who have joined them. Especially in North America, this day has become a day for Orthodox Christians to come together with thanksgiving to Almighty God in order to celebrate our unity and our common joy at the restoration of the holy icons. I am grateful to His Eminence, Archbishop Benjamin for his great kindness in inviting me to be with you this evening, and for our concelebration this morning, together with His Grace, Bishop Daniel at the Divine Liturgy at Saint Seraphim Cathedral in Santa Rosa. It is also a great joy to welcome His Eminence, Archbishop Kirill of the Russian Orthodox Church Outside of Russia, with whom I recently had the honor of serving – along with several hundred other hierarchs—in Moscow for the celebrations of the 10th anniversary of enthronement of His Holiness, Patriarch Kirill. Your Eminence, we are grateful for the brotherly relations that exist between the Orthodox Church in America and the Russian Orthodox Church Outside of Russia, and in particular for the strong fraternal relations that exist particularly here in the Diocese of the West. 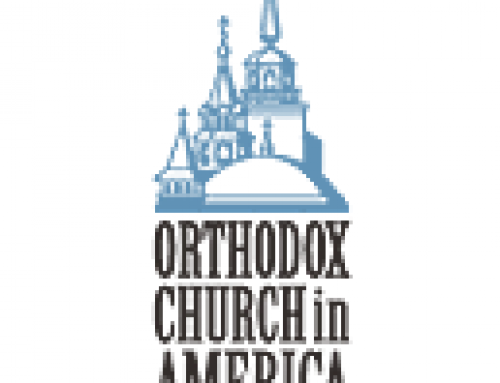 For many years the Orthodox Church in America has held firm the faith of the Apostles, the faith of the Fathers, the faith of the Orthodox, the faith that makes fast the inhabited world. In our churches, chapels, monasteries, seminaries, and institutions throughout the United States, Canada, and Mexico, places where “Churches from the nations” are also now found, our communities give glory, honor and worship to the one God and Father, to our Holy Lord Jesus Christ, and to the Holy Spirit. Our bishops oversee our Church life, ministering to the flock entrusted to us by the grace of God, with all canonical strictness and in fidelity to the tradition of the Church. At every level of our ecclesial experience, we seek to resolve our internal problems conciliarly with the fullness of our Church according to the tradition we have received. 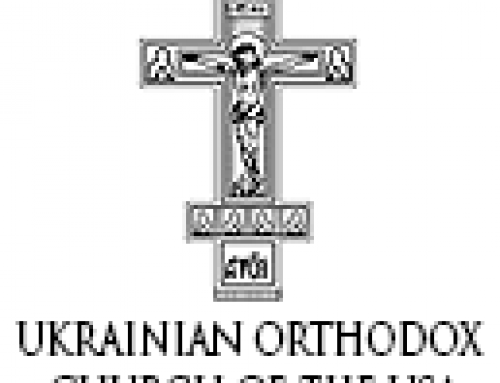 Our Church, sojourning here in North America, gives thanks to God for the great blessings He has given us, and also to the communion He has allowed us to maintain in our common faith with the other local Orthodox Churches. Metropolitan Tikhon visits St. Nicholas Church, San Anselmo, CA. What we accomplish this evening is an example of what Saint Tikhon is speaking of. Regardless of the divisions and conflict that take place in the world around us, it is through our humble worship and fervent prayer that we make the light of Orthodoxy shine on the darkness around us. Today’s commemoration, the restoration of the veneration of the holy icons, is truly a resurrectional feast, a Paschal celebration, and a source of encouragement for us in our Lenten struggles. 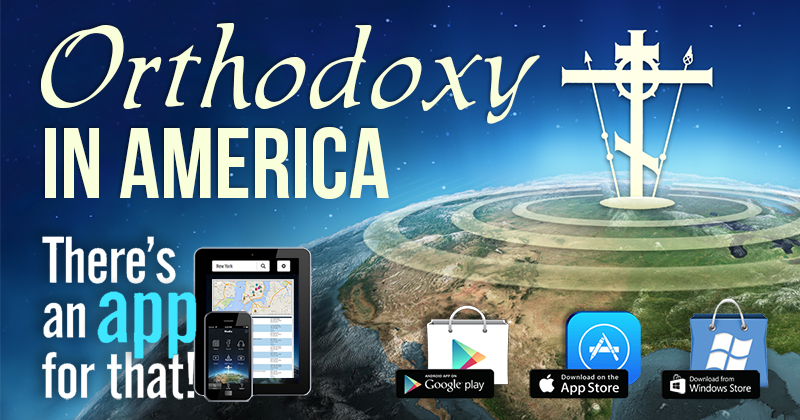 It is in this way that we share the glory of Orthodoxy that is revealed in our theology, our hymnography, and our iconography. And we do so here in North America, as it is done throughout the Orthodox world. Although our challenges today might be externally different, Saint Tikhon’s words about both the difficulties and the opportunities facing the Church are an encouragement to us today. As we celebrate the Sunday of Orthodoxy and reflect upon the blessings and struggles of the past, let us be inspired by the true icons of the Kingdom, such as Saint Tikhon, who reminds us to be grateful to our merciful God for the gift of one another and for the freedom to witness to the Orthodox Faith, which has been proclaimed in North America for more than two hundred years. 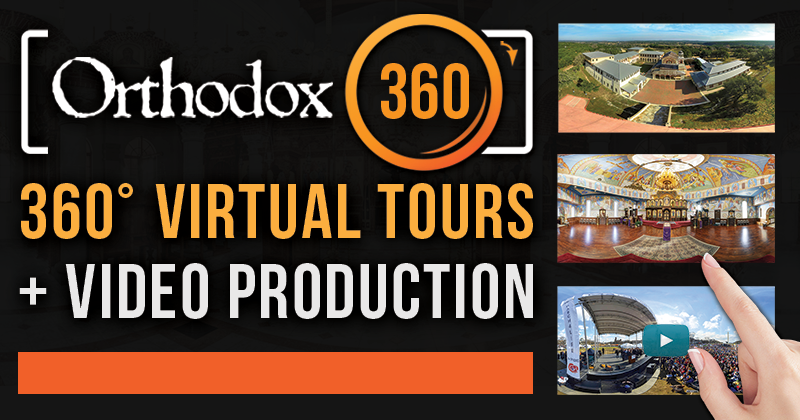 By God’s grace, all of these accomplishments have been achieved through the various Orthodox Churches in North America and by the dedication and initiative of Orthodox Christian men and women of vision. We should be grateful for what has been accomplished, and also be mindful of the task still before us, with all its challenges and obstacles. Christianity is about movement and vision—“come and see,” as we heard in today’s Gospel—movement and vision that are not limited to the physical realm or in the confines of the mind, but rather taking our hearts, which have been overshadowed by the grace of the Holy Spirit, on the journey that introduces us into the heavenly Kingdom. We make this journey in the place that we have been planted and in the community of which we are a part, but our goal should be to persevere and support one another on our common journey towards the heavenly Kingdom, of the Father and of the Son and of the Holy Spirit. Amen.